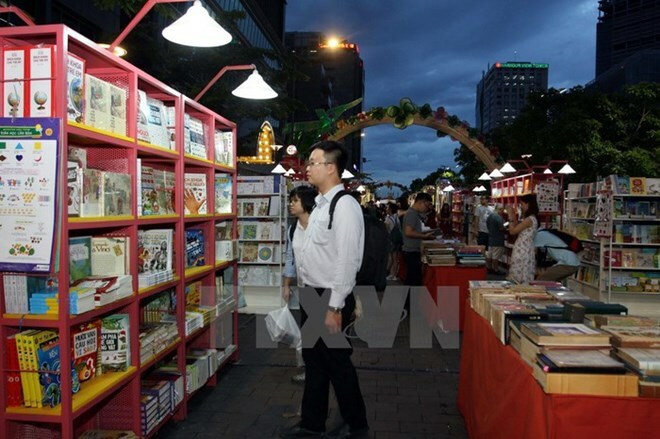 Nearly 100,000 books will be put on show at the annual book street festival in downtown Ho Chi Minh City from February 2-8 in celebration of the Lunar New Year (Tet) holiday 2019. At a press conference on January 21, Vice Director of the municipal Department of Information and Communications Tu Luong said the book festival, entitled “Muon mau cua sach” (myriad forms of books), will take place along Mac Thi Buoi, Nguyen Hue and Ngo Duc Ke streets. Prestigious publishers and distributors like Phuong Nam, Thai Ha Book and Fahasa will introduce books on the culture and history of Ho Chi Minh City and socio-economic issues. 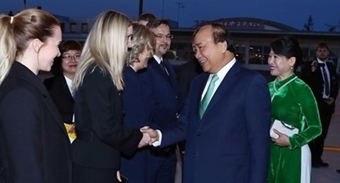 Notably, photos, books, archives and maps affirming Vietnam’s sovereignty over Truong Sa (Spratly) and Hoang Sa (Parace) archipelagos will be exhibited on Nguyen Hue Street. Meanwhile, folk games and games developed from the STEM education (science, technology, engineering and methematics) will be held on Ngo Duc Ke Street. The festival, which has been held annually since 2011, is a popular destination for local people and foreign friends during the biggest and most important annual festival in Vietnam, which will come in early next month.